While I was writing this post, I listened to You're Somebody Else by Flora Cash. Try it ! M.A.C. 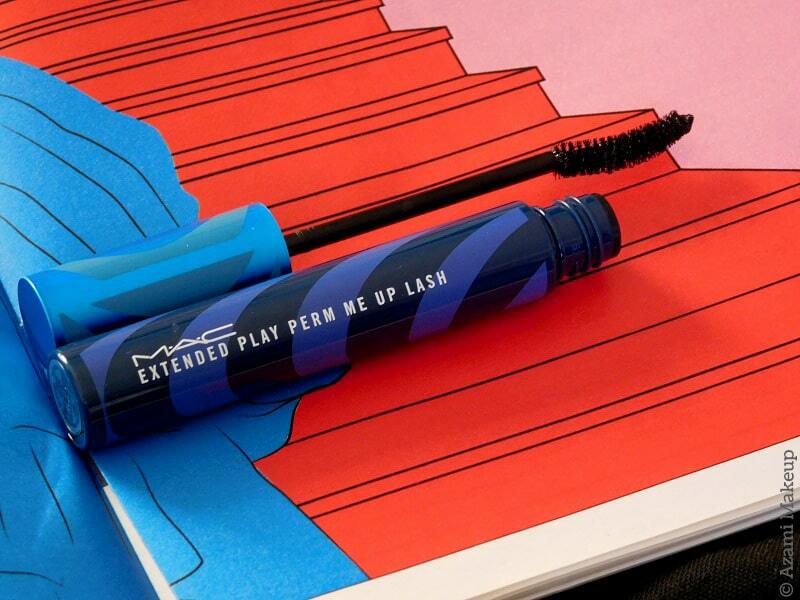 Cosmetics has released a new mascara a few weeks ago ; the Extended Play Perm Me Up Lash mascara. 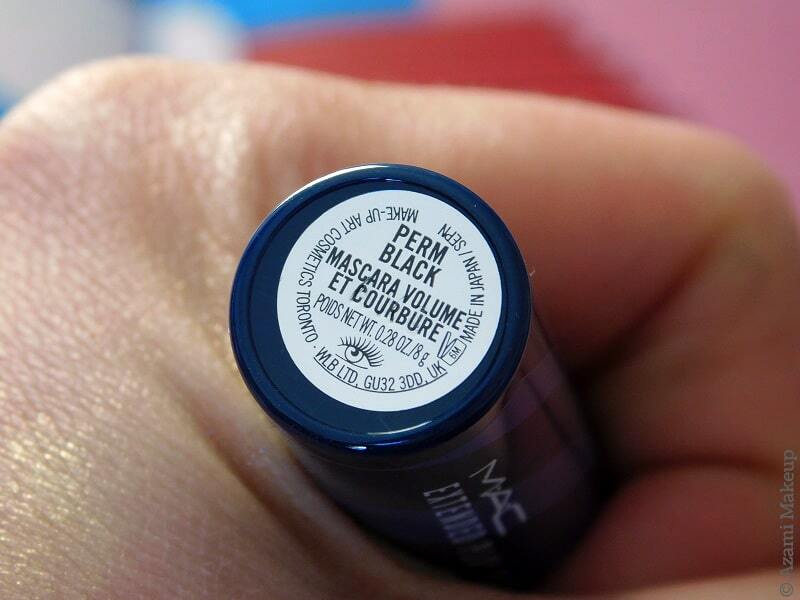 Since my all-time favorite mascara is M.A.C. 's Upward Lash and I loved the colorful In Extreme Dimension mascaras from the Work It Out collection, I'm always happy to try out any new mascara they're going to release. Well, to be honest and so this review doesn't last forever ; I don't like this mascara. As I said, I'm always happy to try out a new mascara but this one just isn't for me. I've heard rumors of the classic Extended Play Gigablack Lash mascara being discontinued, a mascara similar to this one except the brush is straight and the hairs are much shorter making it a perfect mascara for the lower lashes. Apparently, M.A.C. 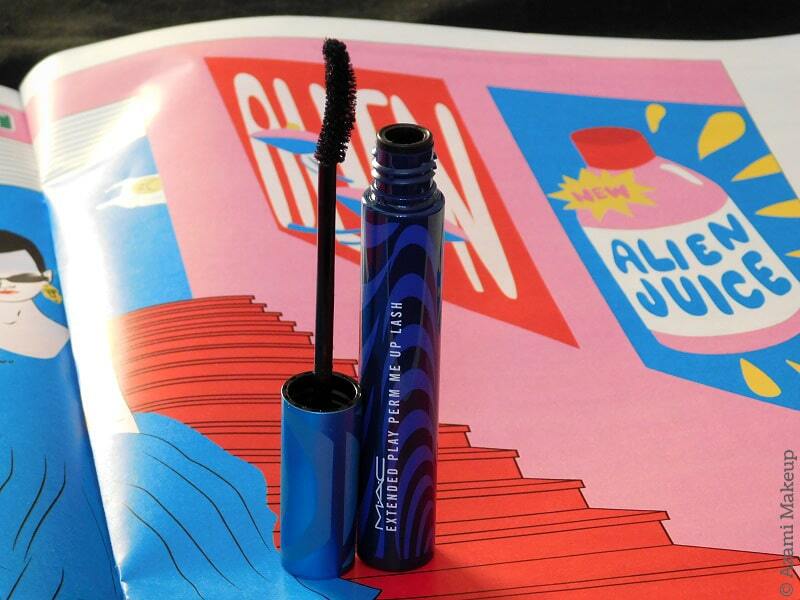 is replacing it with this, a new "instant-lifting and curling mascara that lasts up to 16 hours with a smudge-proof and clump-proof formula". 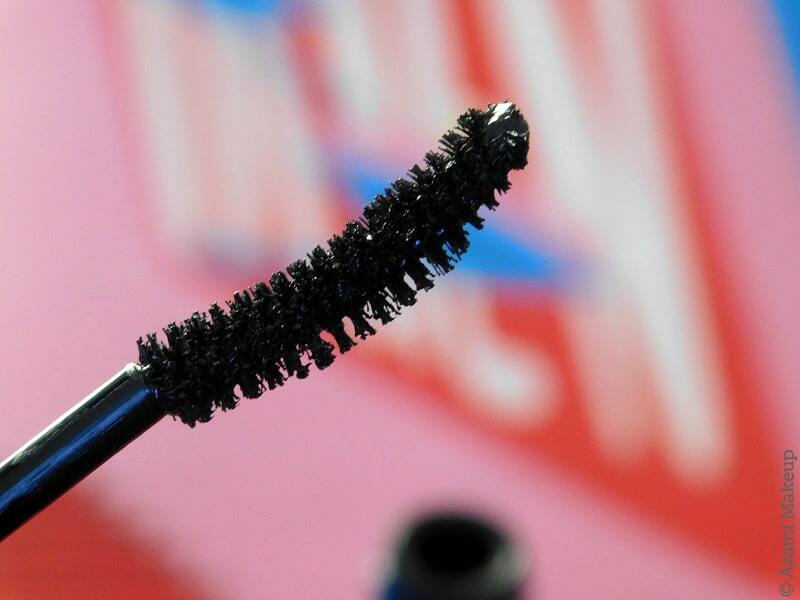 This new Perm Me Up mascara is one of the smallest and the most affordable mascara in the whole M.A.C. range and the packaging resembles the Gigablack's a lot. The wand is small, curled, made with hairs and delivers a super black color. 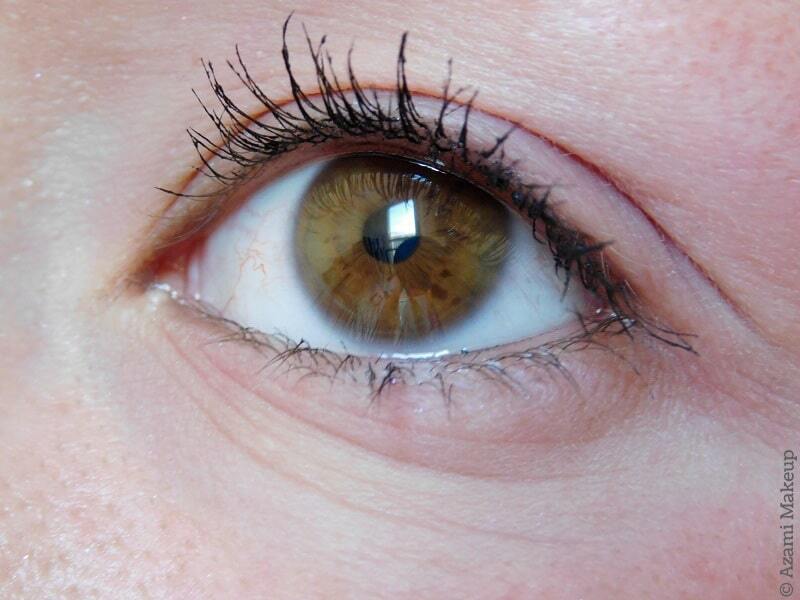 I do not like this mascara. I believe there's a kind of mascara for everyone, like foundation or concealer and this is clearly not made for me. I feel that aside from slightly coating my lashes in black, it does absolutely nothing. It slightly lifts up my eyelashes but it's like the formula sticks my very few hairs together and when you see me face to face, you'll feel like there's nothing on my eyelashes - so if you're looking for something very natural, which is sometimes the case with some people, maybe that's the way to go. It is indeed longlasting and I didn't see it crumbling down on my cheeks on the few occasions I wore it so that is indeed a very good point. On the other hand, on some colleagues with already long and lots of eyelashes, it looks really good because it does bring some volume and length - you just have to be careful with what type of eyelashes you have before you consider buying this. What I will do is I will keep using it but only for my lower lashline since the brush is really thin so if you've got short, straight eyelashes like me, that's an option if you're looking for a lower lashline mascara !